Eucharist or Holy Communion is the very cornerstone of our faith. In this most holy of the sacraments, we receive the Body and Blood of our Lord, Jesus Christ, into ourselves. 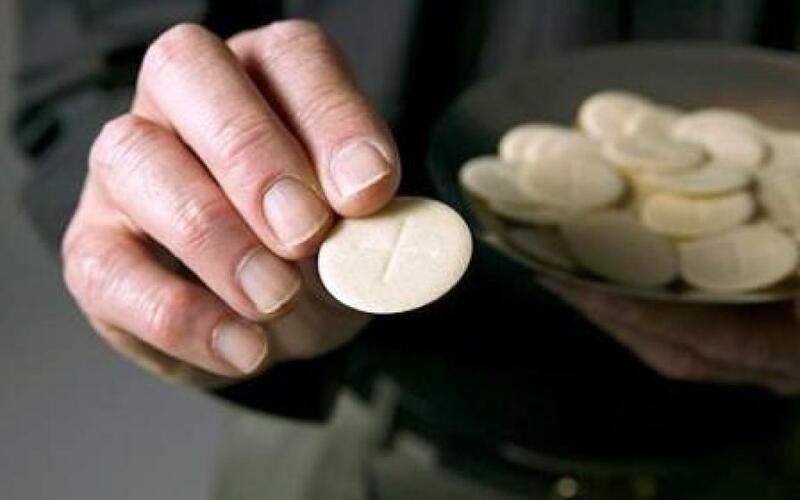 Unlike other denominations of the Christian faith, who take communion merely as a symbolic act commemorating Christ's last supper, we believe that through the actions of the priest during the Liturgy, the bread and the wine are truly changed, transubstantiated, into the actual Body and Blood of our Lord Jesus Christ. They cease to be what they were before. That is why we hold such reverence for these objects of our Faith. The Catholic doctrine of the Real Presence is the belief that Jesus Christ is literally, not symbolically, present in the Holy Eucharist—body, blood, soul and divinity. Catholics believe in the Real Presence of Christ in the Eucharist because Jesus tells us this is true in the Bible: “I am the bread of life. Your fathers ate the manna in the wilderness, and they died. This is the bread which comes down from heaven, that a man may eat of it and not die. I am the living bread which came down from heaven; if any one eats of this bread, he will live for ever; and the bread which I shall give for the life of the world is my flesh. The Jews then disputed among themselves, saying, ‘How can this man give us his flesh to eat?’ So Jesus said to them, “Truly, truly, I say to you, unless you eat the flesh of the Son of man and drink his blood, you have no life in you; he who eats my flesh and drinks my blood has eternal life, and I will raise him up at the last day. For my flesh is food indeed, and my blood is drink indeed. He who eats my flesh and drinks my blood abides in me, and I in him” (John 6:48-56). Furthermore, the early Church Fathers either imply or directly state that the bread and wine offered in the celebration of the Lord’s Supper is really the body and blood of Jesus Christ. In other words, the doctrine of the Real Presence that Catholics believe today was believed by the earliest Christians 2,000 years ago! While we are required to receive the Eucharist at least once a year during Easter season, we are encouraged to receive much more frequently. Weekly or even daily if that is possible. 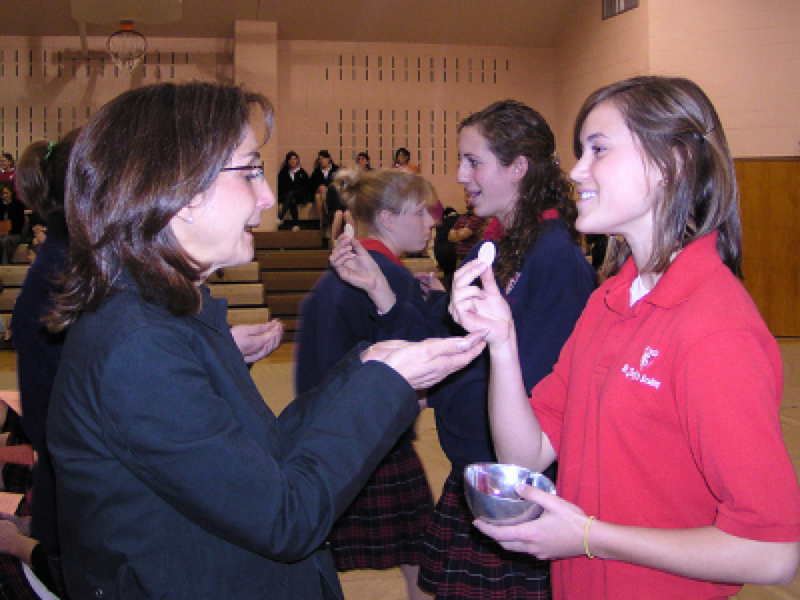 Communion is considered the third Sacrament of Initiation, after Baptism and Confirmation, because it brings us into a fuller participation in the Church. Adults being initiated into the Catholic faith would receive them in that order. However children "born" into Catholicism traditionally receive First Eucharist around the age of seven. After receiving some specific instruction and the sacrament of Reconciliation first, the Church welcomes the young communicant to a greater participation in our Faith. 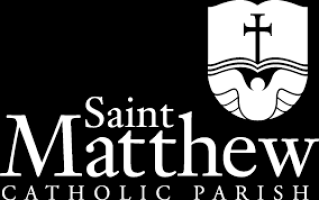 Please contact the parish office when you are ready to take your child through this great milestone in his or her life to receive First Holy Communion. They will provide you with the proper instructions and materials necessary. In receiving the Eucharist, we receive Christ into ourselves. He lives in us and we in Him. Additionally as we partake of the same spiritual and physical food it unifies us as a community; we become one body – the Church. Not simply unified in our congregation alone but across the world with all others who receive the Eucharist. Proper disposition is required to receive Holy Communion. One must be free from any serious or mortal sin. One of the many reasons we go through the sacrament of Reconciliation is to absolve us from these sins. You must believe in the Transubstantiation of the bread and wine into the body and blood of our Lord. This is why we refrain from sharing the Eucharist with non-Catholics. And with the exception of water or medicine, you must abstain from food or drink for at least an hour before receiving the Eucharist. The Eucharist is to be consumed immediately. It is not to be taken back to the pew or shared with anyone. Only specially designated Eucharistic Ministers to the homebound are allowed to leave with the Eucharist and only for the express purpose of administering to the sick who cannot attend Mass. While these rules may seem rather formal or strict to the uninitiated they have been established over the two thousand years of the Church's existence. They express our reverence and love for what we consider the holiest of the sacraments and greatest gift that our Lord has given us. It is the physical manifestation of our redemption through Christ's sacrifice of his life and God's love for us.